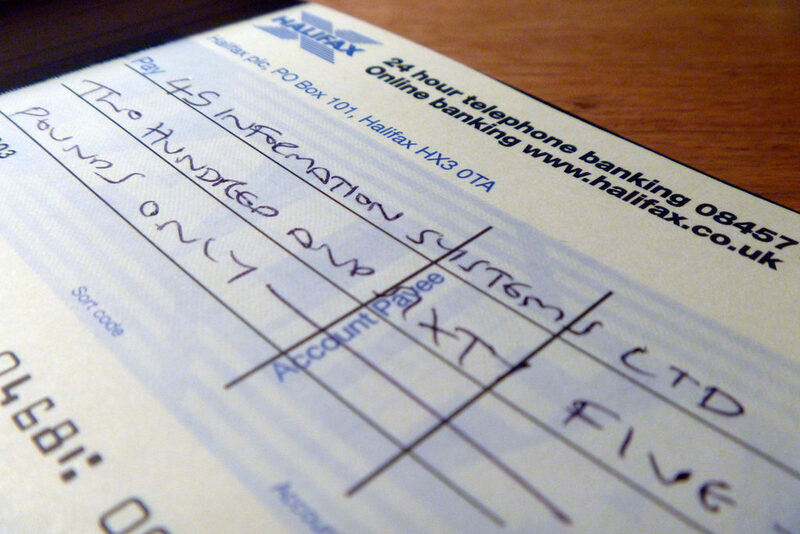 Cheques are quite important as they provide financial security by holding the cash for the cash owner. When it comes to holding a large amount of money, likes in million, it will be difficult for someone to carry that out. That’s when the cheques come handy. With the help of the cheque, it becomes easy for a person to cash his or her amount to the desired person. Also, it is quiet a safe method for the transaction. In general, it is a transaction process that is used for the transfer of money from one back account to another bank account is a very safe manner. And when it comes to making payments many at times people use the cheques for the payments. The reason being that it comes with several advantages. Now here are a few advantages as to why using the cheques for payments is beneficial. Paying by the help of cheques is considered to be one of the most secure methods out there. You don’t need to carry a lot of money which reduces the chances of robbery. Money is paid with your full consent. Even in the case of online transactions, there happen situations which the money gets deducted from your account but still the payment is not made. This may arise due to poor internet or website problems. But in terms of cheques, there is no such issue. If the money is deducted from your account then it clearly means that the payment has been made. This is another great benefit of making payments with the help of cheques. The only person who can ensure whether the payment has been made successfully or not is the one who has signed the cheque. Also once the person who owns the cheque signs on it with the specific amount mentioned, he can be assured that no one can change that written value and if it is found that there is even a slight change in the amount that is written on a cheque, the who cheque will get cancelled. Thus payment through cheques ensures double security. Now that one cannot tamper the cheque, the people’s mind can be at rest, that their cheques will not be used as frauds to steal all your money. This keeps your account in control of you. You will be fully aware of the amount of money that is being taken out of your account. And you can also have full control over how much money is being deducted from your account. Thus without your knowledge, no money can be taken out from your account if you are paying through cheques. This is the best part about paying through cheques. In this, no one can ever deduct money from your account without your consent. If and only if there is you sign on the cheques only then will the money get deducted. Thus there are several benefits of paying through cheque. It reduces your burden of carrying a lot of money and ensures secure methods of payments.